1993. WTFC Reserves v Bicester Town Res possibly in the League-Cup Semi-Final. Paul Noble and Clive Miners battle for the ball with Ronnie Williams looking on ready for action. 16th Oct 1993. 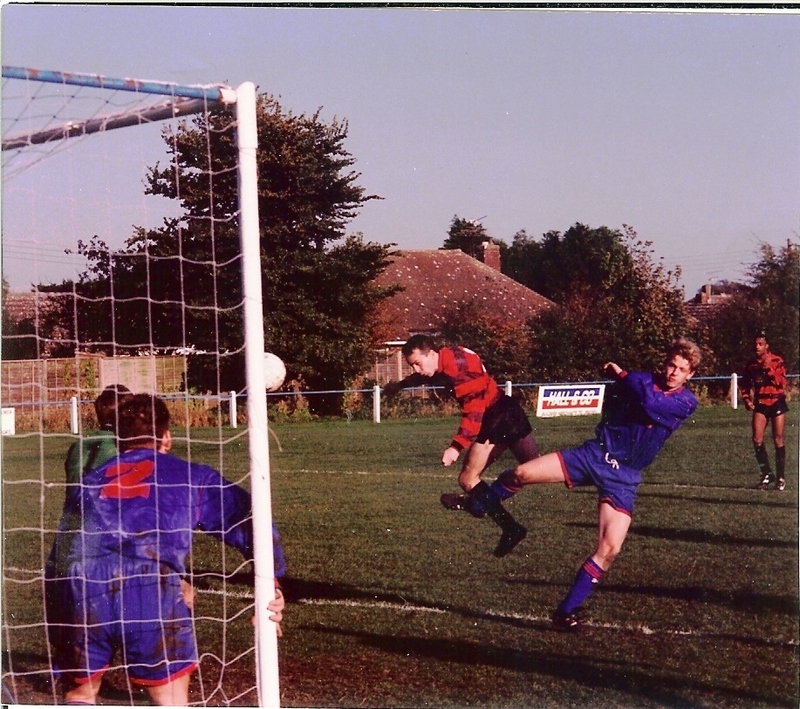 Steve Wood scoring against Wooton Bassett with Trevor Mason in the background.